Ladytron Returns With A Hopeful Apocalyptic Message On Its First Album In 8 Years The veteran group's long-awaited new songs sound right at home alongside fellow conceptual electronic pop artists like SOPHIE, Robyn and Christine & The Queens. Ladytron's new, self-titled album comes out Feb. 15 via !K7. 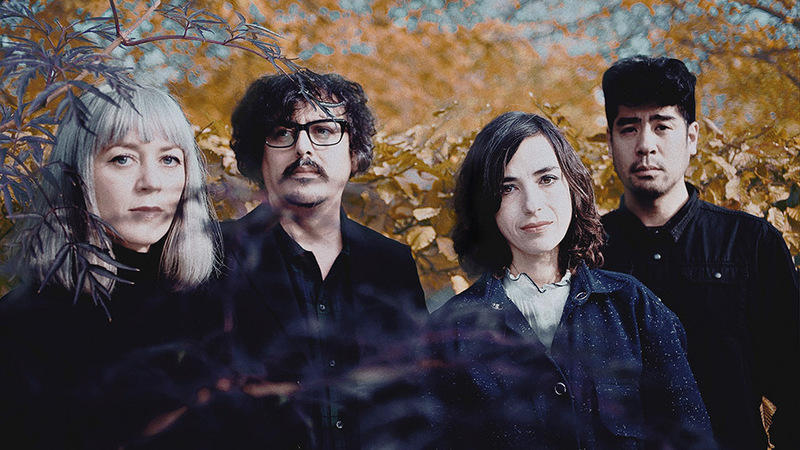 Ladytron's Helen Marnie, Daniel Hunt, Mira Aroyo and Reuben Wu never meant to take such an extensive break between records — somehow, seven and a half years just slipped by for the synth-pop foursome, as time has a habit of doing. "Everything and nothing has changed," Marnie tells NPR Music of the band's years apart. Since 2011's Gravity the Seducer, all of them except for Aroyo have relocated. The band is now scattered across the Western Hemisphere: Hunt has been residing in Sao Paolo; Wu, who's been traveling the world as a photographer, is based in Chicago; Marnie lives in Glasgow; and Aroyo's stayed in London, working as a documentary producer. "That in itself has been a great influence on the music that we create," Marnie says of the surprisingly positive effect their separation had on their new, self-titled album. "But we're still the same people, just a little older and hopefully wiser." Ladytron — which the band funded through a Pledge campaign last year, and which features Sepultura's Igor Cavalera on drums — certainly won't alienate old fans. It's chock full of the group's hallmark analog synths, sweeping dance rhythms and breathy voices. 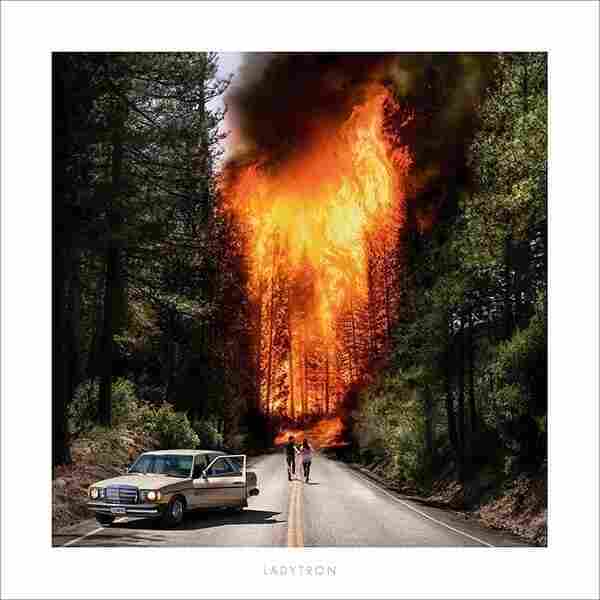 But nor will it estrange first-time listeners, as Ladytron's new songs sound right at home alongside fellow conceptual electronic pop artists like SOPHIE, Robyn and Christine & The Queens. That's not just because a song like 2002's "Seventeen" still belongs at parties 17 years later; Ladytron has also keenly updated and propelled its sound while remaining steadfast in its identity. "The Island," the catchy and foreboding first single — whose video is a disquieting miniature sci-fi thriller — sounds most like classic Ladytron, with its bright tones and haunting vocals. It also epitomizes Ladytron's current mindset. "I wanted to create a sense of disorientation and maybe claustrophobia, which I think a lot of people are feeling right now," Marnie told PAPER about the track. That's expressed with the song's shadowy synths, and in the words, which weave paradoxical notions for an unsettling impact. "Poisoned paradigm / We are savages," Marnie sings. "Faith, lust, desire / We are sirens of the apocalypse." It's followed by "Tower of Glass," the record's most amorous song. Even though it sounds romantic, Marnie's singing about screams and falling, burning fingers and rising seas. All of Ladytron has this dynamic. It's flush with potent senses of both doom and hope — as in "Paper Highways," wherein Ladytron pairs portentous lines about sleepwalking into fires with floaty dance beats, as if to say the darkness won't bring them down. ("This fire won't burn my dream," Marnie sings.) In these songs, Ladytron seems enraptured by the idea of change, and of new beginnings in the face of a possible fiery end. There's the bewitching "Deadzone," a throbbing, industrial-reminiscent banger whose lyrics recall the similarly titled Stephen King novel. "I swear I died and came back to life," the song goes. "Maybe as someone else / For better, for worse, I'm forever changed." There's more blazing imagery here, too: "The purr of the flames," Marnie croons. "I can't get away." After the eerie, stomping, ballerina-themed "Horrorscope," Ladytron wraps up with two grand, soaring pop tracks, "The Mountain" and "Tomorrow Is Another Day." The former is about a feeling of isolation, hinged on layers of steady vocals and oohs and aahs; it almost sounds like it's treading uphill through a mist to reach a clear view. And in the latter, the record's apt finale, Marnie sings of scars, secrets and poison; of water and old memories; of "myth and fantasy and fantastic times," over synths that begin melancholically and mount into rhapsody. "'Tomorrow Is Another Day' is bubbling with sadness, but it's also a love letter," Marnie tells NPR Music of the song. "It's important to me that there's hope. We need that. Everybody needs that."